If there is one genre of music in Korea that anyone is bound to find something they might like its Korean Indie. Outside of the normal spectrum of pop music, within the indie society you can discover many wonderful groups; ranging from the cute to the unusual. But each of these groups has something wonderful and interesting to offer and that is exactly what you get with Pink Elephant. Mixing elements of post-punk revival and indie rock music with mellow electronic undertones they are a group that know how to get people up and moving to a special beat. Hello. We are the Korean indie band Pink Elephant. 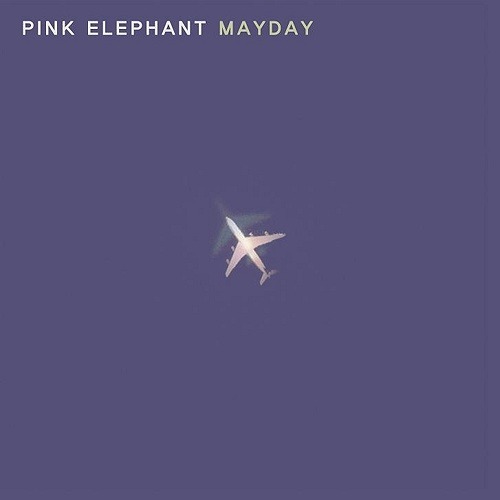 We released our first full length album “Pink Elephant” in 2008 and then our EP MAYDAY in 2009. Our influences include American grunge and English garage music. Following our guitarist’s admission into the army in 2009, we took a 2 year break before returning in 2012. You were recently featured on one of eatyourkimchi’s indie recommendation lists, as they are big both in Korea and internationally right now how do you feel about that? We are happy that many people enjoy band music although we do actually find it quite surprising. We were checking our emails for YouTube comments at New Year and we thought our inbox was going to explode. We think that it would be more fun to do overseas concerts. How would you describe the Korean indie scene? In the past indie music was a mania-like music written for a limited number of people and it was a period in which the internet did not advance or emphasise on indie music. However it has changed so much that it has got to the point where indie musicians appear on TV. Whilst there could be a number of reasons for this, I believe the biggest contributing factor is the common tendency for the teen idol groups to produce music that sounds more and more similar. Also, in the past you might have said the majority of indie musicians followed foreign talents whereas now they promote the genres that they like. The gap between indie music and popular music has narrowed, and indie music is constantly being refined. We met in 2003 and have been performing as a group since then. However because of the compulsory military service in Korea we’d have to take away around 4 or 5 years. A lot of musical influences have come from Smashing Pumpkins and Libertines. We also love the film ‘Hedwig And The Angry Inch’ to the point that we would like to cover the music from the film. We don’t like to make any plans for the future. We started performing together because we enjoyed music and we never planned an album whilst promoting so all we would say is that we would like to still be playing music together in 5 years. We hope to create many new songs this year and start recording for our 2nd album which may be released in 2014. Is there anything you want to tell our readers? We are so thankful to everyone who enjoys our music. We are having a slight problem with iTunes so we cannot make our music available on there yet. However we plan on submitting our albums on iTunes within the next month. We will also be announcing any of the band’s plans through our Facebook and Twitter pages. Thank you to the group for taking time to answer a few questions from us. Make sure to check them out on Soundcloud and catch them if travelling around the Hongdae area. Saturday Playlist - Girl Power!